Molly Mollica, a Ph.D. student in the UW Bioengineering department, was one of three UW students to win a Husky Seed Fund award for 2017-2018. The Husky Seed Fund was created and is managed by students on the Husky Experience Student Advisory Council (HESAC), with funds from the Office of the Provost. The advisory council says its goal is to bring to life innovative ideas that are “inclusive, impactful and inventive.” This year’s 10-member student advisory council included Philip Lee, UW Bioengineering 2017, who helped develop the fund. Husky ADAPT (Accessible Design and Play Technologies) will teach UW students to adapt toys for children with disabilities. Students adapting toys learn complex engineering concepts such as circuitry and reverse engineering while also learning technical skills such as soldering and using hand tools. “Toys are developmentally important, so they are fun, and that’s a good part of them, but they also teach things like cause-and-effect, motor skills, independence,” Molly says. 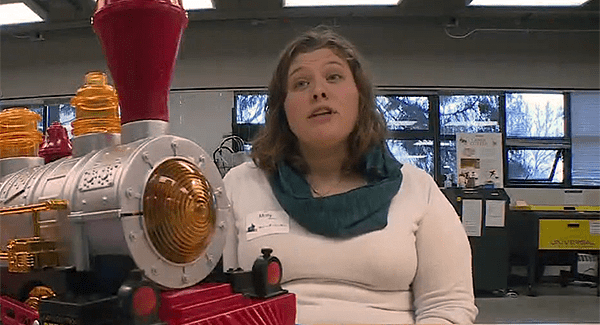 In December 2016, Molly helped lead a UW Holiday Toy Hack event, where she helped train her peers to adapt toys. She previously helped launch a Toy Adaptation Program at Ohio State University.